What to consider when looking to start a family! Are you thinking about starting a family or having another baby? We look at what to consider when looking to start a family and what you can do in preparation for your pregnancy. Do I need to change what I eat if I’m trying for a baby? Eating well is essential if you’re intent on baby-making. Aim for a balanced diet of three meals a day, including at least five daily portions of fruit and vegetables. You can take multivitamins designed for women who are trying to conceive, or an antenatal supplement. These will contain 400mcg of folic acid. This is a B vitamin that helps to prevent neural tube defects, such as spina bifida in developing babies. Some women need to take more folic acid and have a 5mg dose prescribed by their doctor. However, apart from folic acid, supplements shouldn’t be a substitute for a healthy, balanced diet. You shouldn’t take high-dose supplements to build up your reserves. Some studies have suggested that having a lot of caffeine may affect your fertility. Although the evidence isn’t conclusive, if you’re trying for a baby it makes sense to keep your caffeine intake below 200mg a day. Caffeine levels in drinks vary, but two cups of instant coffee contain about 200mg of caffeine. Don’t drink alcohol if you’re pregnant or trying to get pregnant. Alcohol can be passed to your unborn baby, and too much exposure to alcohol can affect your baby’s development. If you choose to drink, protect your baby by not drinking more than one or two units of alcohol once or twice a week, and don’t get drunk. The National Institute for Health and Care Excellence (NICE) advises women who are pregnant to avoid alcohol in the first three months in particular, due to the increased risk of miscarriage. Smoking during pregnancy has been linked to a variety of health problems, including premature birth, low birthweight, cot death (also known as sudden infant death syndrome or SIDS), miscarriage and breathing problems/wheezing in the first six months of life. If you’re overweight you may have problems getting pregnant, and if you’re having fertility treatment it’s less likely to work. Being overweight or obese (having a BMI over 30) also raises the risk of some pregnancy problems, such as high blood pressure, blood clots, miscarriage and gestational diabetes. Before you get pregnant you can use the BMI healthy weight calculator to work out your BMI. However, this may not be accurate once you’re pregnant, so consult your midwife or doctor. Having a healthy diet and getting moderate exercise are advised in pregnancy, and it’s important not to gain too much weight. You can keep to a healthy weight by eating a balanced diet and getting exercise. 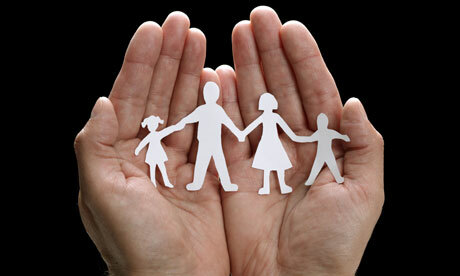 If you would like to share any tips or advice on starting a family, please share on our Facebook Page!